The latest in dispensing from Server Products! Lemon Server with a great design and graphic! 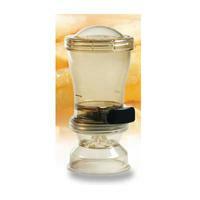 More New Products INSEASON™ Salt & Spice Dispenser IntelliServ Countertop Food Warmer - 1/3-Size Pan Lemon Server with a great design and graphic!